Maintaining our existing roads and building new, key road improvements is one of the highest priorities for all Frederick County residents. We need wise input from City, County and State legislators in order to navigate the complicated funding processes and to secure these road improvements. Because of my experience in working for road improvements at the city, county and regional levels, I am well qualified to help us get our fair share of improvements and funding. It must be pointed out that the processes for getting road improvements is extremely complex and involves compliance with federal, state and local laws and procedures. For 7 ½ years I have been the representative to the Washington Council of Government’s Transportation Planning Board (WashCOG’s TPB)(first from the City of Frederick, and currently from Frederick County). Billions of federal dollars come to our region through this regional planning organization. Our participation in this organization is key to securing our fair share of the federal revenues. City and County Comprehensive Plans are another key ingredient for road improvements. If planned road improvements are not included there, then there will be no state or federal funding to help build them. Similarly, only those improvements that are high on the list of County road improvement priorities will ever get funding. I understand these processes thoroughly, having worked on such matters with both City and County Comprehensive Plans, and having worked closely with state officials in connection with SHA projects that have been built in Frederick City, including the East Street Extension ($100 million project), the expanded South Street interchange ($43 million project), the new Opossumtown bridge ($14 million project), the new, Monocacy Blvd. interchange on US 15 ($83 million budgeted for it), and dozens of smaller projects. An understanding of the fiscal, legal, political and environmental constraints that affect individual road and transportation plans. Washington Council of Governments, Transportation Planning Board—It is critical for the City and County to continue to be full participants in this regional planning organization. It helps us get our appropriate share of federal funding that is funneled through COG. It also helps us forge and maintain the relationships with those key individuals who have a lot of influence in the state and regional transportation funding decisions. Highway User Revenues. For the past five budget cycles the State has cut by over $10 million/year the funds that they used to share with us to maintain our roads. Every county has suffered these funding cuts, even though the State has increased its budget by $1 Billion more every year. Some programs have been getting more state funding, but not roads. This has caused financial problems for all counties. Federal Gasoline Tax. One area of need is at the national level, and it is referred to as federal surface transportation funding. At this point in time, those funds are lower than they have ever been in 60 years. Most of the funding for all of our major improvement projects connected with I-70 and I-270 come from this federal source (through the State). This fund comes from the federal gas tax, which is a flat tax that has not increased since 1993. To replenish of this fund there should be a federal gasoline tax increase, so that this tax is tied to inflation. This is the one tax increase that I support. But it is critical that this change be made, or we will not be able to maintain our existing roads and make the key improvements that are needed. You will recall that in 2013 the State Legislature increased the State gasoline tax in order to obtain revenues for road improvements. This is not the ideal approach because increasing state taxes has given an advantage to our surrounding states as we compete for private businesses—and this is an area where Maryland is losing ground. Increasing the federal gasoline tax can bring in additional money to the State without putting Maryland at a disadvantage with other states. Expanded and planned for additional commuter and bus Park & Ride lots at key locations. Making the major road improvements, such as adding lanes on I-270 and expanding the 3 bridges on US 15 in the City of Frederick, requires extensive cooperation and coordination with City, County, State and federal leaders. First of all, the improvements must be a part of the City and/or County Comprehensive Plans. Second, they must be top priorities on the County’s Road Improvement Plan (that is submitted to the State each year). 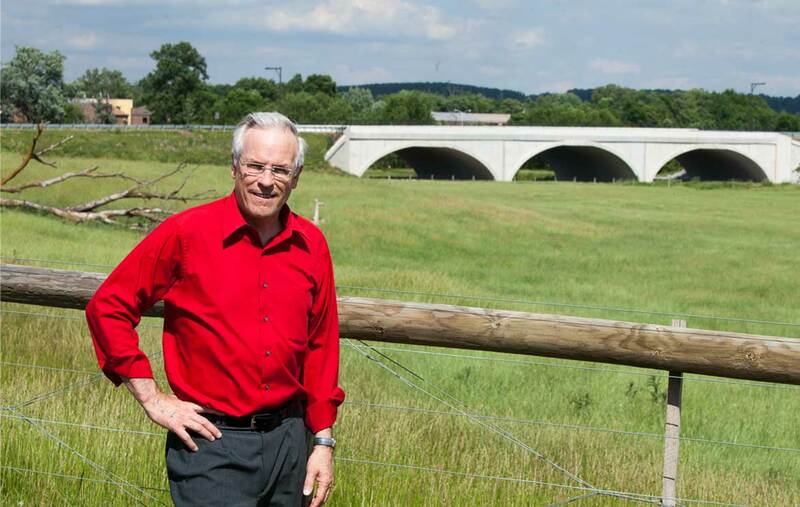 Third, our County and State and federal officials must work to make sure that Frederick County gets its fair share of the State revenues for road improvements. All of these things must happen, or the improvements do not happen. The above list of needs is not exhaustive; there are many additional projects that are not listed. But one thing is clear: There is only limited funding to make these improvements. And Frederick County competes with other jurisdictions for the limited funds available to do these projects. Obtaining funding is a complicated process involving local, state and national leaders. We need to understand the processes and work with leaders at all levels to obtain the needed improvements. Because of my extensive experience at the city, county and state levels in planning, funding and building road improvements, I can best help Frederick to get our fair share of federal and state funds for the projects that we need to alleviate congestion and improve traffic flow in Frederick County.